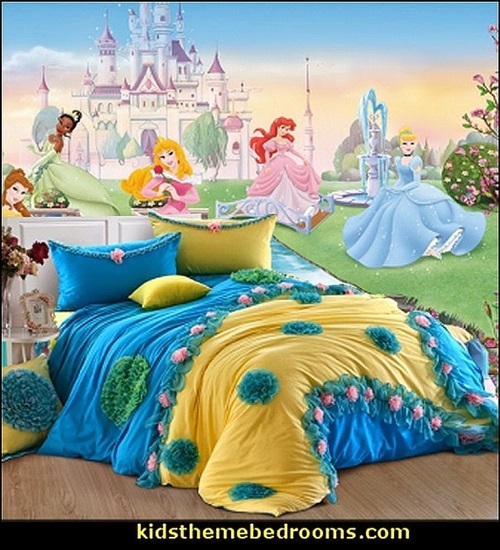 The Fairy tale theme is suitable for most of the little girls because of its light colors and magical look. 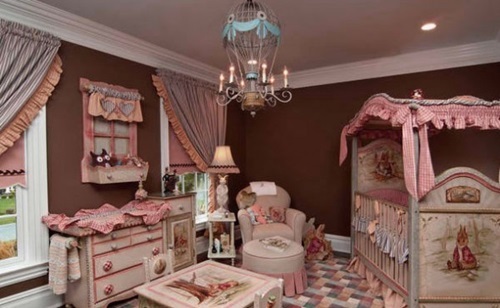 Such a theme will enable you to change the decorations several times as your little girl is growing up without changing the color of the room and the basic design. 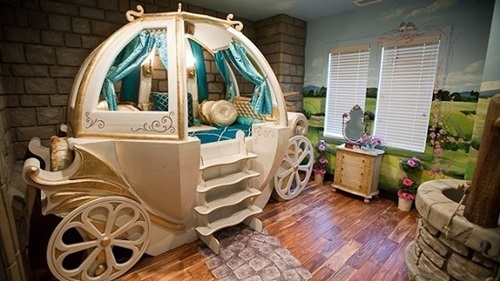 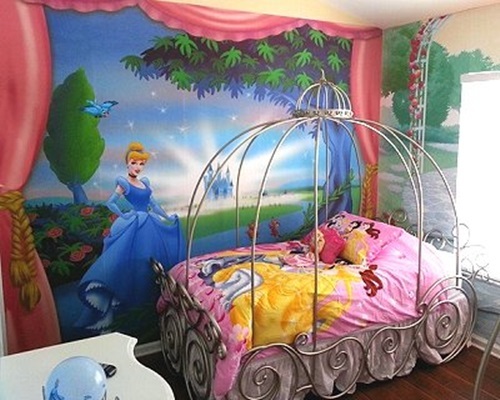 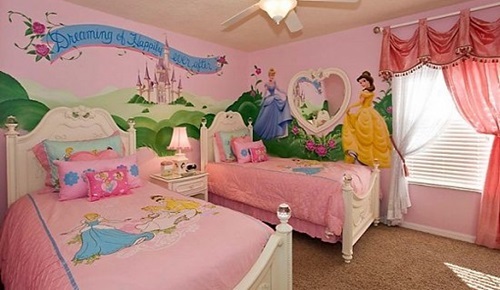 This article will show you the best and easiest way to decorate your little girl room with the fairy tale theme. 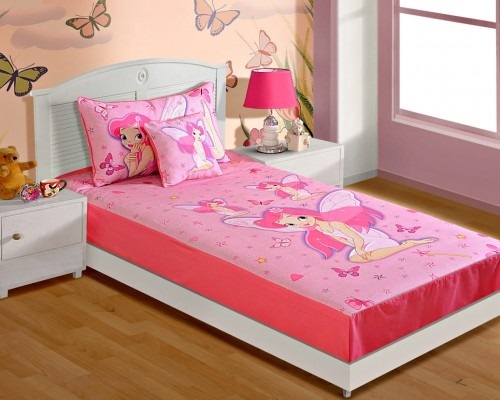 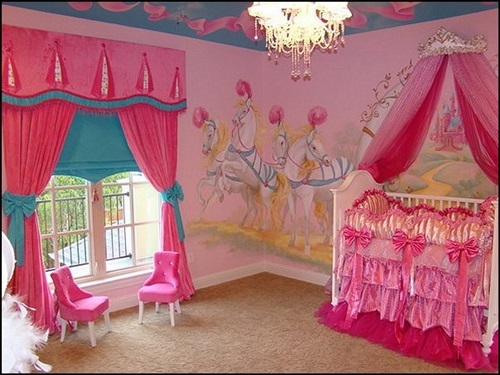 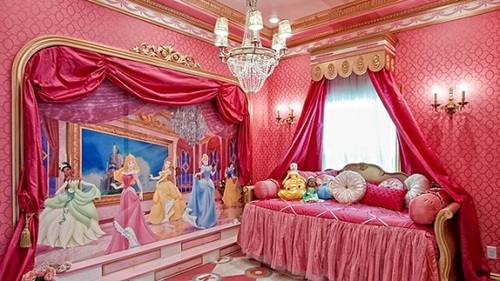 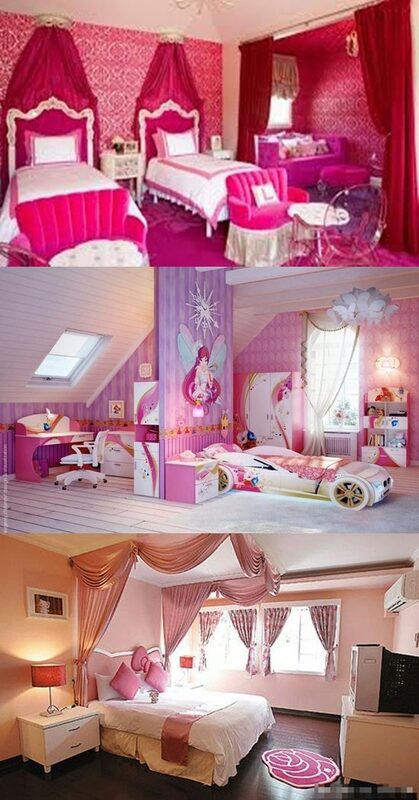 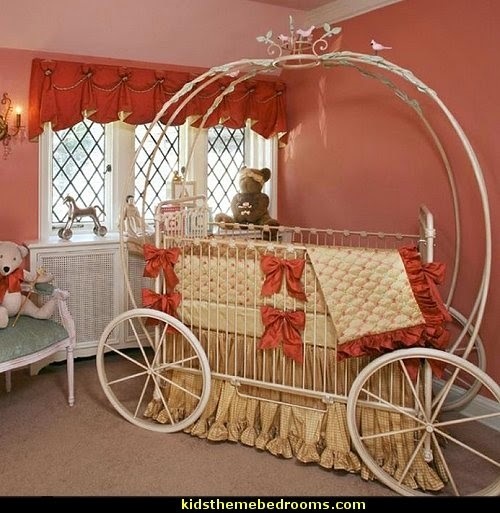 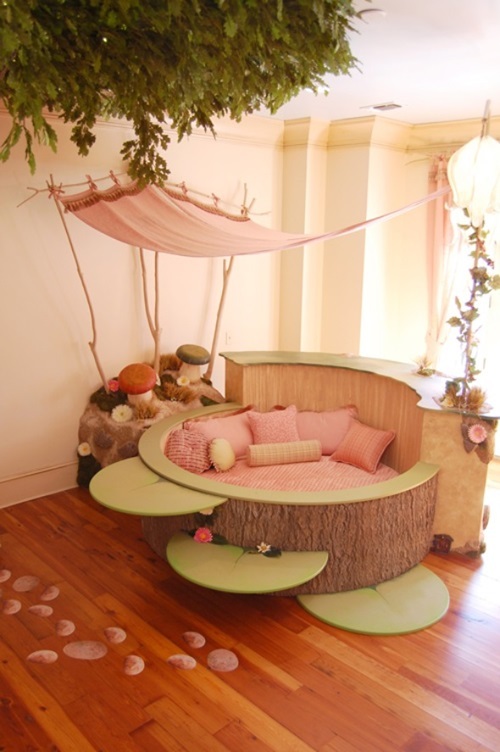 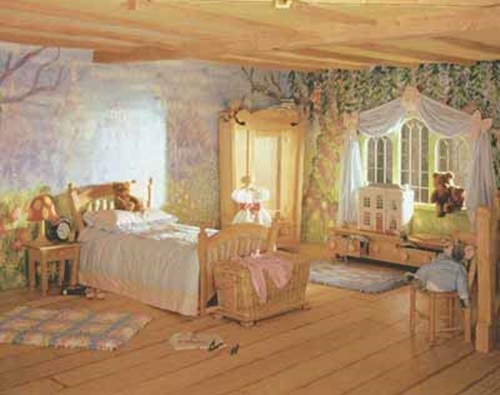 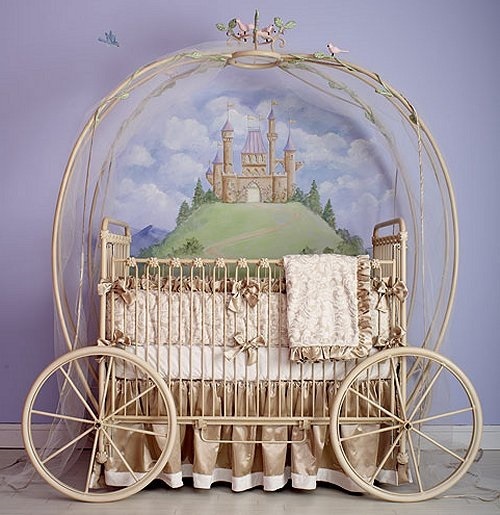 The color of your little girl’s room can be decided according to her choice and her idea about the fairy tales. 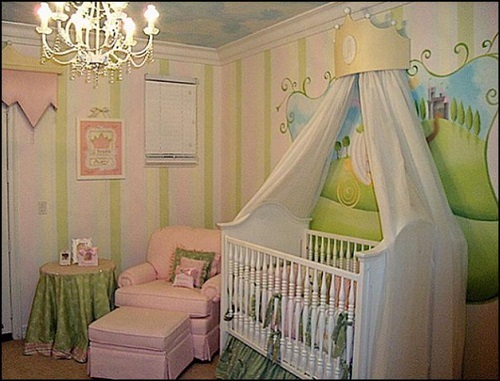 If she is too young to choose her own design, you can paint the room a fresh bright color such as pink, yellow, or violet or even light green and brown colors. 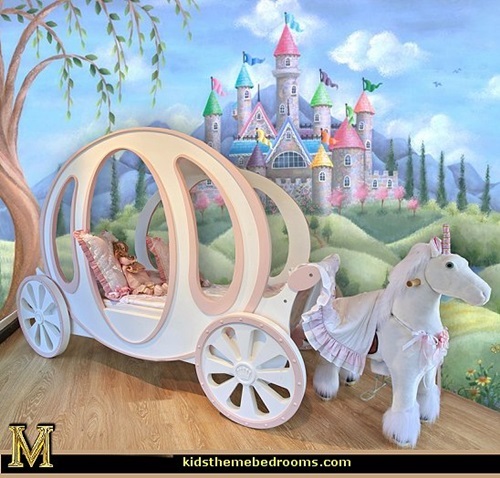 The fairy tale themed mural on one wall or the acrylic paint in a stain finish will enhance the theme and help the room look amusing. 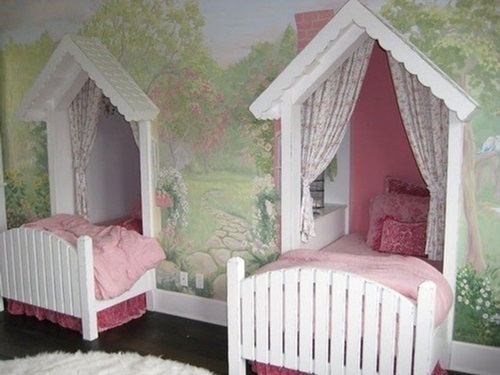 If you are one of the do it yourself lovers, you can paint the wooden furniture pieces such as bookshelves, desks, and toys boxes a darker degree of the same color of the wall.You can purchase white and pink fabrics such as beddings, pillows, and rugs with fairy tales prints to complement the look of the room. 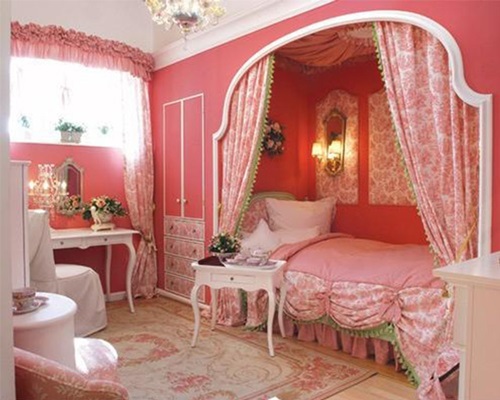 The white or light pink curtain without fairy tale prints will enhance this theme and can be used when you change the theme of the room. 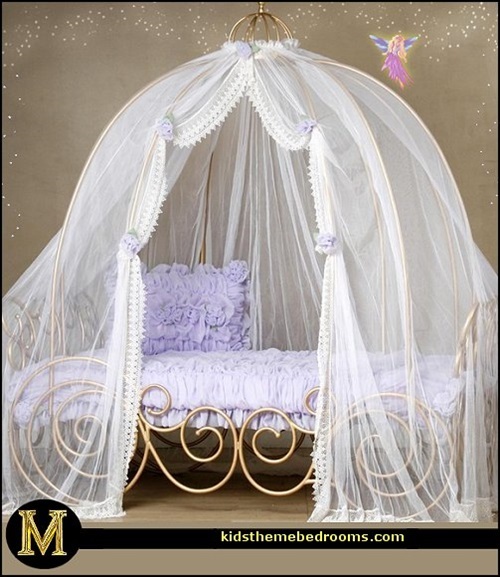 The fairy lights around the room will create an attractive look in addition to illuminating the room.Try to let your little girl choose her favorite fairy night light to feel safe during the night. 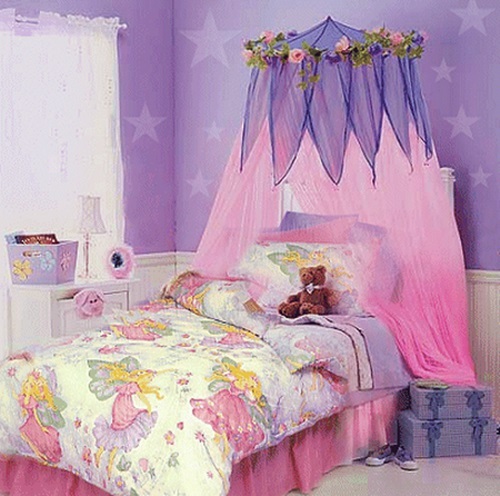 If you have additional budget, you can purchase a small chandelier on the shape of your girl’s favorite fairy. 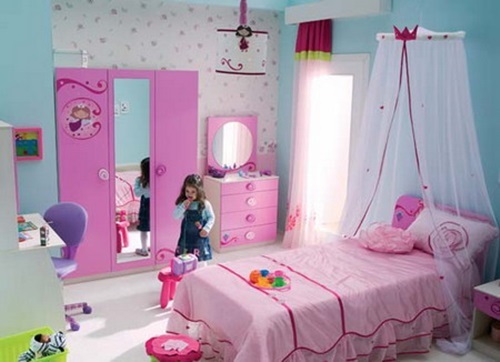 Try to keep the room organize all the time and it will look fantastic all the time.